Arsenal are keen on a move to sign Nicolas Pepe from Lille, according to reports in the French media. Mercato 365, as quoted by talkSPORT, is reporting that the Gunners are pondering a move to try and sign the winger next year as they look to bolster their squad. According to the same report, Pepe has been earning “admiring glances” from some of Europe’s top clubs thanks to his fine form for Lille this season. Ivory Coast international Pepe has scored an impressive 10 goals and made five assists in 16 Ligue 1 games so far this term for Lille. According to the same report, Arsenal are keen on a move to sign Pepe in the summer transfer window next year – rather than in January. 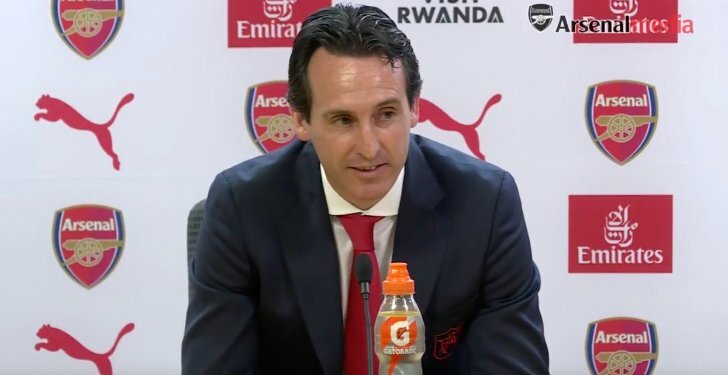 However, the article rightly points out that Arsenal’s ability to lure top talent to The Emirates next summer could rely on whether or not they qualify for next season’s Champions League. The same story states that both FC Barcelona and Bayern Munich are also monitoring Pepe’s progress as they also consider bids. Meanwhile, Arsenal are currently preparing for their home clash against Huddersfield Town in the Premier League on Saturday afternoon. The north London side finished in sixth place in the Premier League and without a trophy under Arsene Wenger last term.